Learn The 7 Essential Principles to Marketing Yourself & The Secrets to Earning $400/day! International Executive Protection LLC (IEP) is the most hands-on and comprehensive program for Executive Protection, Special Operations & Bodyguard Training. Our instructors are world-class experts and Certified Protection Operators™, highly trained in the field of executive protection, special operations, firearms, self-defense and Tactical Gun Takeaway & Defense. Sign up today to become a Certified Protection Operator™ and an expert in Tactical Gun Takeaway & Defense. Our program is designed for any and all serious people (including Class "D" and "G" licensees) who want to start a career in the security, bodyguard, dignitary and executive protection field. International Executive Protection LLC is an outstanding school for class "D" and "G" license holders. 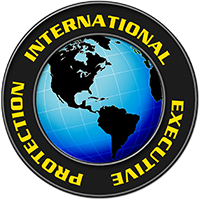 International Executive Protection LLC's Executive Protection, Special Operations & Bodyguard Training facility welcomes students from all over the world to our headquarters in Clearwater, Tampa Bay, Florida. International EP LLC has handled event security for private events, VIP events, special events, sporting events, corporate events, civic events, major national political events like the Republican National Convention, and more. Register for your class before seats are full!